The smallest SUV from Mazda proves that getting at least 34 MPG is not an issue in this type of vehicle any longer. Winning the Northwest Automotive Press Association 2016 overall class win at Mudfest, handling the "CREATE THE STANDARD a 2017 World Car Design of the Year candidate alongside the eventual winner, FOR THE NEXT ERA. 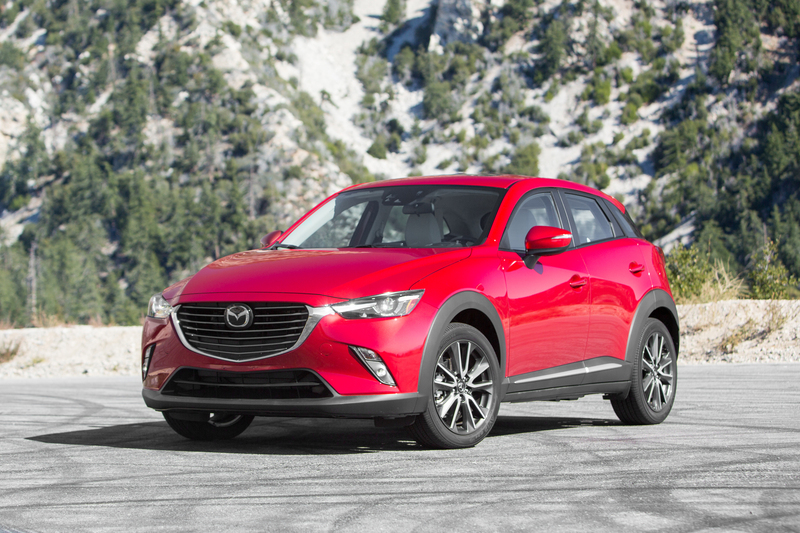 The CX-3 was developed to "Create the standard for the next era." 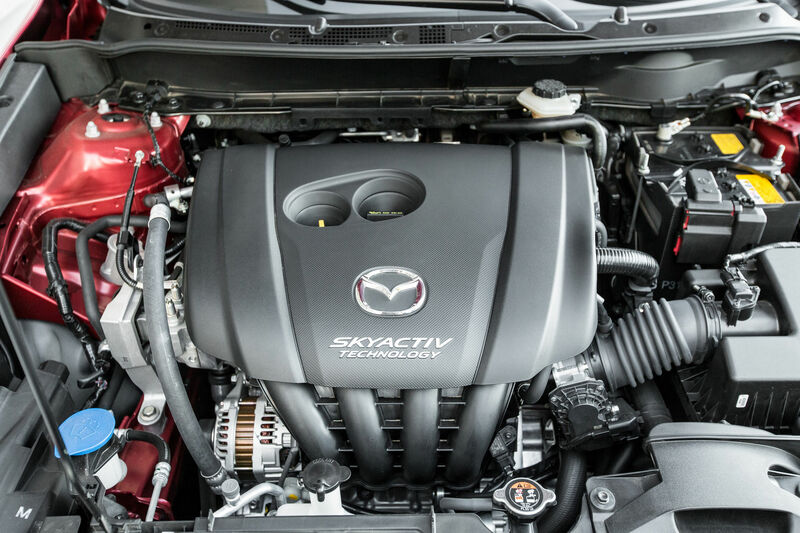 with its available predictive i-ACTIV all-wheel drive and 146-horsepower, 2.0-liter SKYACTIV-G engine. "SKYACTIV Technology means we don't have to compromise when it comes to performance, efficiency and fun-to-drive dynamics," said Jim O'Sullivan, president and CEO, Mazda North American Operations. 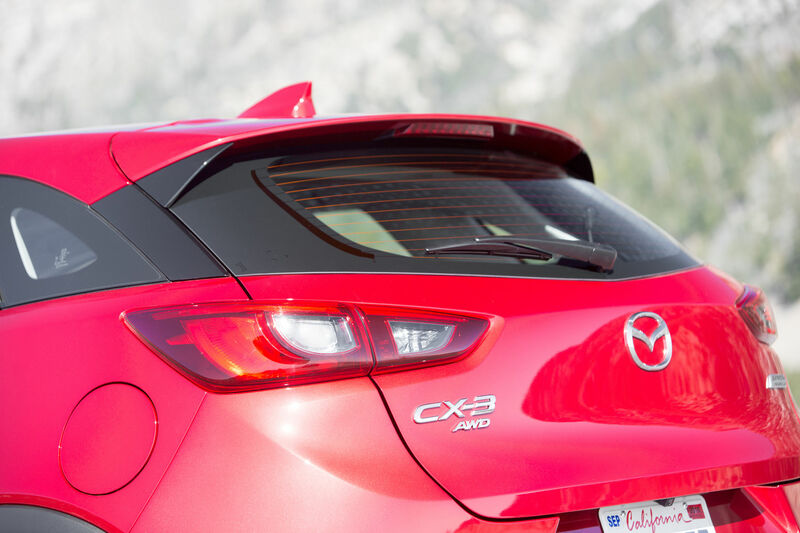 "CX-3 will deliver all of the core values customers have come to expect with the sixth-generation lineup of Mazda vehicles, and we hope to reach new audiences with CX-3." So while the good ol EPA estimates 29 mpg city / 34 mpg hwy / 31 mpg combined (27 / 32 / 29 with i-ACTIV AWD) our tests showed 39 on the highway and 31 all day long. Given these results, the only question is why not hybrid, plugin hybrid to start. That MPG could then go all the way up. 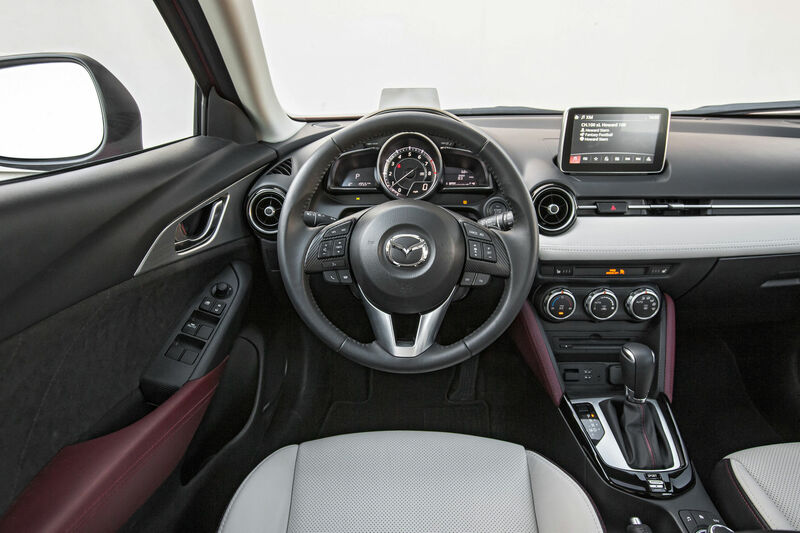 Besides the MPG and a nice looking car, Mazda fully loaded thus car with lane-departure warning, rear cross-traffic alert, Smart Brake Support, rear camera, Smart City Brake Support (SCBS) and Mazda Radar Cruise Control (MRCC). This CX-3 Touring also came with new upgrades like 18-inch alloy wheels, heated exterior door mirrors with integrated turn signal lamps, leatherette and cloth seating surfaces, heated front seats, leather-wrapped shift knob and steering wheel, fold-down center armrest with built-in phone holder, Blind Spot Monitoring (BSM) and Rear Cross-Traffic Alert (RCTA). 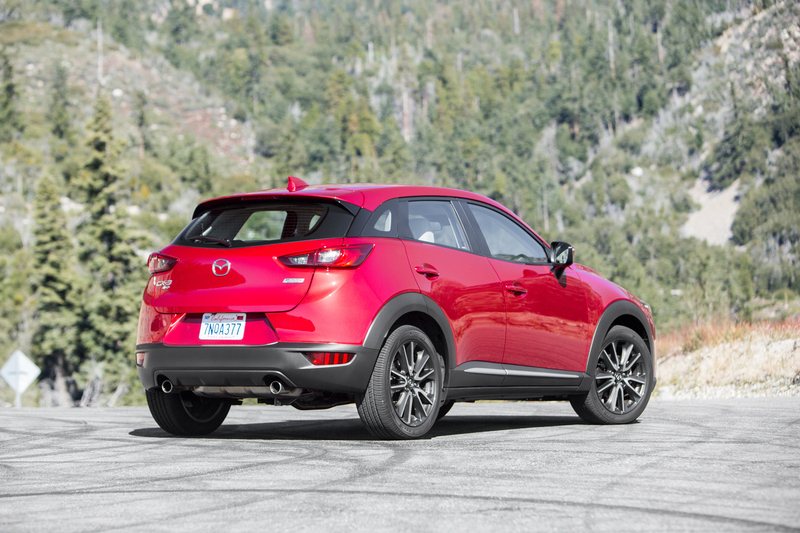 The 2016 Mazda CX-3 subcompact crossover even was named as a "2016 Top Safety Pick+" recipient by the non-profit Insurance Institute for Highway Safety (IIHS). According to Mazda: "In IIHS testing, vehicles are subjected to a variety of rollover and collision tests, many of which exceed the speed and forces of Federal crash requirements; the small-overlap front crash test is one of the latest and one of the most stringent. The IIHS notes that approximately 25 percent of traffic fatalities occur in small-overlap crashes, which put more force onto a smaller piece of the car's structure than other current frontal-collision tests." Also, much of CX-3's performance and predictive i-ACTIV all-wheel drive comes with 27 sensors to instantly transfer power before a driver would ever feel a loss of traction. Using i-ACTIV AWD, CX-3 can adjust how its power is routed more than 200 times per second, offering a versatile package for daily life and weekend adventures. With a starting price of $19,960, how can you complain? Well..
"We wanted to send a strong statement that new buyers, early adopters, empty-nesters and right-sizers can get everything they want in a crossover that fits their needs," said Jim O'Sullivan, president and CEO, MNAO. 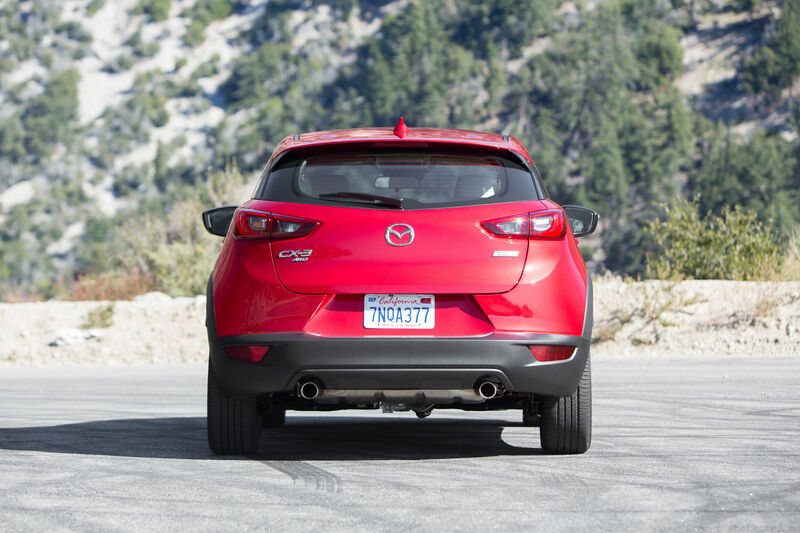 "CX-3 offers the same technologies and thrilling driving experience seen across the rest of Mazda's award-winning lineup that we believe will be a great gateway to the Mazda brand." Well it's not a hybrid or a plugin hybrid and nothing has been announced. Even Toyota produces hybrids close to that price and cheaper. If Mazda put some effort into it, they could really exceed expectations. Until then, this vehicle is cost effective and gets the job done. Read more on Huffington Post.